The demand for food is increasing, but due to the shortage of skilled and semi-skilled workforce in many farming areas there are fewer farmers to grow the food. The use of automation may be one way to address this labour shortage. An increasing form of automation in agriculture is the use of robots and drones, which are capable of analyses and the performance of many farm tasks. Through the use of sensors, electronics and software the potential applications are many. As agricultural robots increase in sophistication, they will progress from simple tasks to intelligently conducting solutions. It is obvious how agricultural robots will help on small scale labour intensive agricultural industries, but it is in large scale farming operations that agricultural robots potentially offer the most improvement. Large farming operations use equipment and machinery that are progressively getting bigger, heavier and more complex. While this large modern equipment has offered farmers the ability to cover more area efficiently, it has come with some agronomic and accuracy drawbacks. An agricultural robot will not be able to cover the same ground as a large machine. But if there are many small cheap robots working together in a “swarm”, then it is possible that they will collectively have the same capacity as large equipment. If multiple robots are working together on the same job it is possible for the robot to move slowly, allowing for more precise and exacting work. This precision in tasks will only improve as the methodical performance of a machine is combined with artificial intelligence. Agricultural robots are also of smaller size and weight compared to large equipment. This will result in less compaction caused by the robots, achieving better agronomic outcomes for the farmer. The price of an agricultural robot today may not be as cost effective as large equipment. But as the cost of sensors, electronics, software and other required material decreases so will the cost of agricultural robots. As robots become more sophisticated it could be suggested that there will be less demand for the agricultural workforce, however this may not be the case. 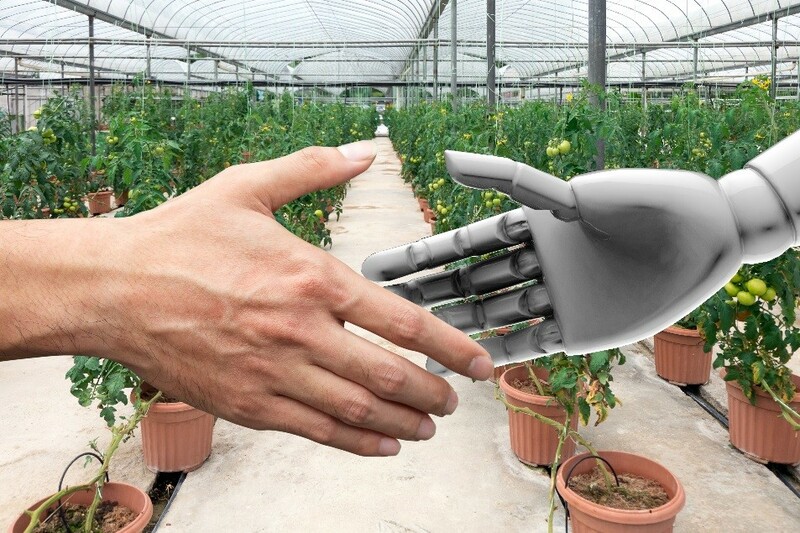 It is logical that the demand for less skilled jobs such as machinery operation and stock monitoring will decrease, although the demand for highly skilled jobs to develop, maintain and manage agricultural robots would increase. These changes will require a more skilled and tech savvy agricultural workforce. To draw more people into this exciting area of agriculture, the agriculture industry needs people to undertake education and training to build this new workforce. One example of how this may be done is the Victorian government’s AGtide program that is encouraging people in science, technology, engineering and mathematics to consider an agricultural career. Automation in agriculture in the form of robots will provide many changes and potential benefits to farmers. Agriculture is poised for big changes in the future! Article written by Adrian Roles and reviewed by Thane Pringle and Helen McMillan. Too uniform for a variable rate?